There has been resurgence in the construction industry since the devastating impact of the 2008 Great Recession. Between 2006 and 2012, the construction industry lost nearly 2 million jobs and roughly $400 billion in revenue. Today, trends are looking up across the industry, according to the Associated General Contractors of America. This resurgence is in part due to strong, sustained economic growth over the past four years. Key factors attributed to this growth include the end of the Recession and a renewed interest in buying homes. For the year 2013, job growth in the US construction industry has increased. The annual growth rate rose 3.4 percent from June 2012?June 2013, adding 190,000 jobs to the industry. This employment growth is focused specifically within five areas of the construction industry: (1) non-residential building, where employment gains were 16,400; (2) residential building construction, which added 13,100 jobs; (3) non-residential specialty-trade contractors, which added 47,100 jobs; (4) residential specialty-trade contractors with gains of 77,100 (the largest gains in the industry); and, (5) heavy and civil engineering construction jobs, which added 36,300 jobs. Much of the job growth in the last category, heavy and civil engineering construction jobs, was as a result of the American Recovery and Reinvestment Act of 2009 (ARRA). The Act, a New Deal-style legislation designed to get America back to work and revitalize a diminished economy, has provided nearly $840 billion dollars for public works projects (i.e. infrastructure repair and building, broadband internet access, tunnels, bridges and roads) and monies for homeowners to address unique needs, such as weatherization. In addition to the positive impact the ARRA stimulus dollars, new home sales increased. Sales in 2012 approached levels near those in 2009. In 2009, the number of new homes sold was 4,500,000; this number fell 17 percent in 2010, another 2 percent in 2011, and finally rose 20 percent in 2012 to 4,404,000 new homes sold. The number of new homes sold was higher in the southern US in 2012 (2.3 million new homes) followed by the West (1.2 million), Midwest (576,000) and Northeast (336,000). This data is provided by the National Association of Home Builders, a Washington, D.C. based trade association for the home construction industry. Growth in new housing sales is linked to job growth (90,200) in both residential building construction and residential specialty-trade contractors, according to June 2013 US Department of Labor reports. Will the Construction Industry Continue to Recover? 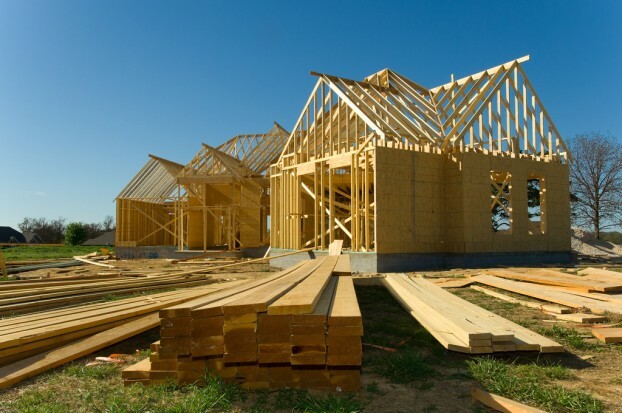 The US Commerce Department announced on September 18, 2013 that new housing starts (the actual setting of the foundation, or excavation in preparation for the construction of a building) were up 7 percent based on an annual rate of 628,000 units in August 2013. The market for new housing starts is primarily single-family homes, the largest new homes segment. Homebuilding is fueled by robust demand for new housing, which is not hampered by changes in mortgage rates. As long as sales of new homes continue to grow, then the future for continued recovery in the construction industry is good. Continued high consumer confidence in the overall economy will sustain the positive growth trend for the industry. Lonnie Milton writes on the construction industry, construction tools, home improvement, renovation, remodeling and other related topics. Those with home improvement needs should consider viewing Home Exterior Systems, a company dedicated to exceptional service. Image credit goes to GROUPE SAMSE.